What's the exact amount of an ingredient that you have to add to your cooking recipe? It's not always easy to carry out the conversions necessary to prepare a dish originally conceived for only two diners. That's why downloading Kitchen Calculator might be of great help when slaving away at the stove. The calculator that can't be missing in a kitchen. 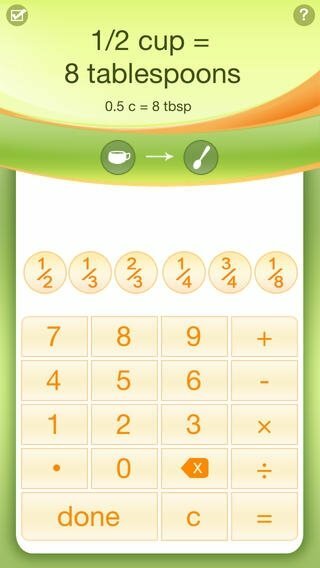 This app for iPhone behaves like a calculator and converter for cooks. 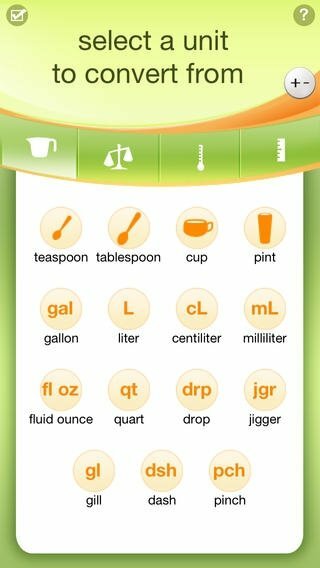 You'll be able to scale the size of your recipes for as many diners as you need, whether more or less, carry out conversions between units of measures and something very important: control the weight and volume differences of your ingredients, a very important factor if you want to succeed in the kitchen. Results shown as fractions or with decimal figures. Compatible with standard metric units. Save time while you cook. You'll be able to always cook the right amount with Kitchen Calculator.